House of Pain was rowdy. Anyone that grew up in the 90’s surely remembers that hip-hop anthem, “Jump Around.” Everlast, one of the three members of that group, split from the other two in 1996 to pursue a solo career which, believe it or not, actually earned the Irish-American rapper a Grammy Award for Best Rock Performance for his duo with Santana. His 1998 hit single, “What It’s Like,” showed a more serious side of the boisterous emcee and it looked as if he had settled down a bit. Now at the age of 42, he is still getting into a few shenanigans here and there, most recently, some allegations surfaced accusing him of street-racing with Justin Bieber. No charges were filed and Everlast seems to be back to focusing on his music. 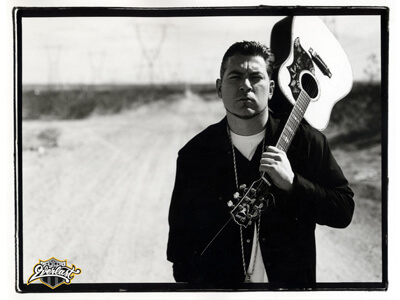 Currently on tour in support of his latest release, Songs of the Ungrateful Living, Everlast comes to Omaha this Tuesday (Kyle Eustice). Everlast with Red Light King, November 15, at The Waiting Room, 6212 Maple St., 9 p.m. Tickets are $15/ADV and $17/DOS. Visit www.onepercentproductions.com for more information.